Way back on April 19th I wrote a blog post called Pouring the Wine, part 1. The one with the picture of Spencer Tracy & Katharine Hepburn on it. That blog post started with this quote of Bunny Watson (Katharine Hepburn) replying to Richard Sumner (Spencer Tracy), in the 1957 movie, Desk Set. . . This last Sunday morning I was scheduled to be the musician at a Lutheran Church about 18 miles from us. As I wake up obscenely early, I had eaten breakfast, but was the only mouse stirring, as the old poem goes. I picked up a little paperback that had been given to my first husband and me when we were married 33 years ago. I had never read it. 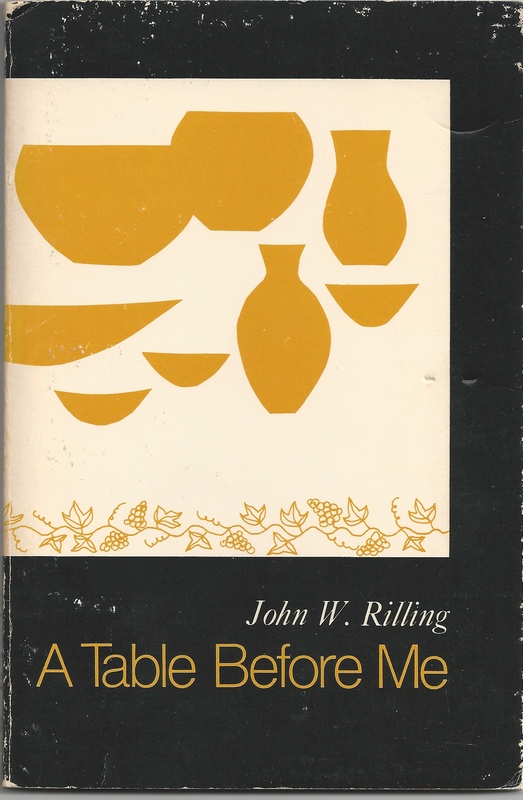 A Table Before Me: Daily Devotions from Luke’s Gospel, written by John W. Rilling, is a short book with daily devotions on the Gospel of Luke expanding on the stories in Luke about table fellowship. I found it dovetailed weirdly with my thoughts about the Ratzinger book. Then driving home from work yesterday, I heard a commentator talking on the radio about changes in our world, about the threats from our enemies, about horrific attacks against Christians and Jews both at home and abroad. Threats of beheading police in Baltimore; smuggling an atomic bomb into the USA from Mexico. . . on and on the grim news. Coupled with that are haunting words of two friends. Both of these people were formerly members of Lutheran parishes and are now members of non-liturgical congregations. One, a dear friend since my freshman year of high school, said in response to my Lenten post about colors: I had forgotten that the colors had meaning; she went on to say something about liturgy being dead. My other friend told us she had been a Lutheran for twenty years and had never learned anything there. I find these kind of comments painful because for me liturgy is packed full with meaning, brimming with Biblical allusions and actions that the church refers to as Sacraments. You can easily discern from my writing that I am not a scholarly sort of person, and my brain works in quirky ways, rarely taut with logical discernment. I am, in fact, one of those people who associate many things with many things. 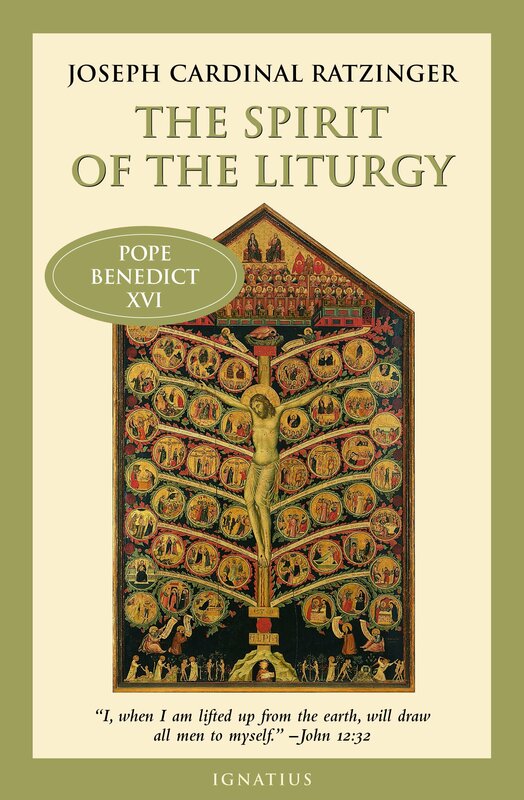 For me Ratzinger’s book is a stunning book on liturgy. For those who have never read theology, let me just say it isn’t an elementary primer. On the other hand, if you wade into it, even if you don’t understand everything, it is captivating for showing the Biblical and theological connections between what we do and why we do it in the liturgy. Some are little things: on top of the altar fair linen is a square of white linen called a Corporal. On top of the Corporal we place the Eucharistic elements: the bread and wine, the body (corpus) and blood of our Lord and Savior, Jesus Christ. Why is a Christian Church building situated in a particular way with regard to the directions of the compass? How is that different from the direction that the Jewish Temple was situated? Liturgical churches use ancient ecumenical creeds to confess our faith; all of them based on scripture. Our prayers, the colors of the liturgical year, the symbols of the historical church, the placement of the baptismal font, all of these things are rich in meaning. As we learn more about them, our faith and worship life are enriched. Years ago, I attended a church where the pastor would invite the children, before worship, to come forward and he would explain to them about the furniture in the church, the symbols of the church, the scriptural stories retold in stained glass windows, the baptismal font at the entrance of the church. 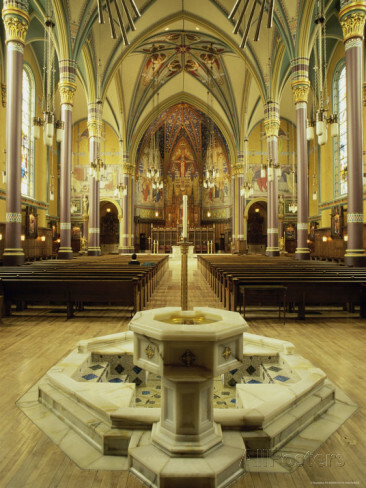 When we were passing through town, my husband and I visited, and still talk about, the Roman Catholic Cathedral of the Madeleine in Salt Lake City. 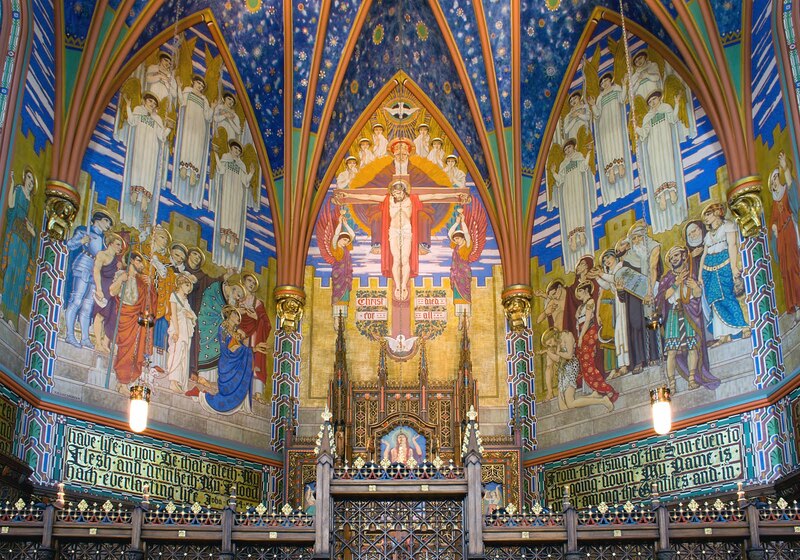 Lutherans often talk about Word and Sacrament and what impressed us was that even when there was no one in church, even when no sermon was being preached, no scripture being recited, nor Psalms sung – the windows and walls proclaimed the Word of our Lord. There was no place you could look without feeding on the gifts of God. It was breath-taking. Not adornment for its own sake, but adornment proclaiming the word of God, the living Word, spoken and poured out for us. Way back on September 11, 2014, I wrote a very short Blog post called In the Face of Evil. It talked about preparing yourself for facing evil. Life is uncertain. Life in these times is perhaps more uncertain than in any time since the second world war. I heard someone the other day talking about being on deck of the Titanic. Some people saw the danger, some people wanted to believe that it couldn’t happen. Scripture talks about wars and rumors of wars. Life is such that even in the absence of war none of us ever knows if we will be spared to live another day. At any time something could happen that would radically change everything. Very possibly it could be something over which we have no control. Life has always been uncertain. What would you do today, if you knew your life would end tomorrow? John Rilling’s book on the Gospel of St. Luke is lovely, and the devotions thought-provoking. Simon of Cyrene happened upon a traffic jam. He ended up carrying the cross upon which Jesus was crucified. That same Jesus invites us to His table, prepared for us. Come. Accept the invitation. Stop. Turn around. Look at the Lord. Join your voice with those voices down through the ages that have proclaimed the faith: Christ is Risen, He is Risen indeed! Alleluia! This entry was posted in Books, Church, Courage, Life in these times, War and tagged Blessings, Children, Christian witness, Faith, Forgiveness, God, Lent, Liturgy, Parental responsibility, Prayer, Worship. Bookmark the permalink. Lots of lovely thoughts here! Thank you for sharing!!!! If you like what you’ve read would you consider leaving a tip?